Welcome to the front page for the Gertrude Chandler Warner Museum in Putnam, Connecticut. 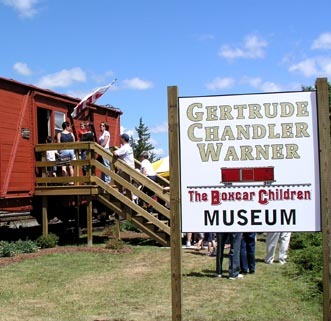 Located off South Main Street near Union Square, the museum is dedicated to the life and work of Gertrude Chandler Warner, best known as the author of The Boxcar Children books. The museum is open on weekends from May through October and is housed in an authentic 1920s New Haven R.R. boxcar. 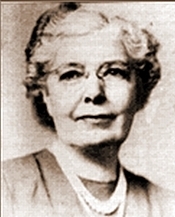 Visitors will find a collection of original signed books, photos and artifacts from Gertrude’s life and career as a teacher in Putman, and a recreation of the living space created by the Aldens—the Boxcar Children themselves.